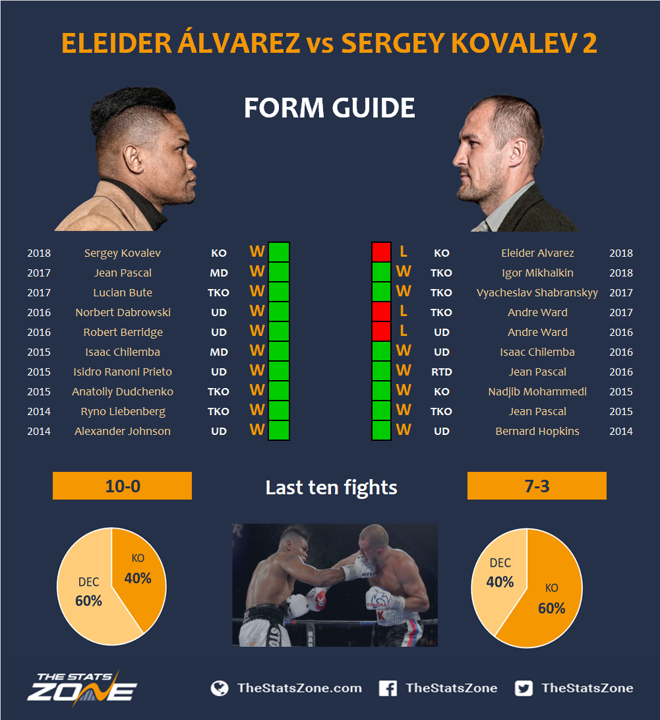 Are tickets still available for Álvarez vs Kovalev? 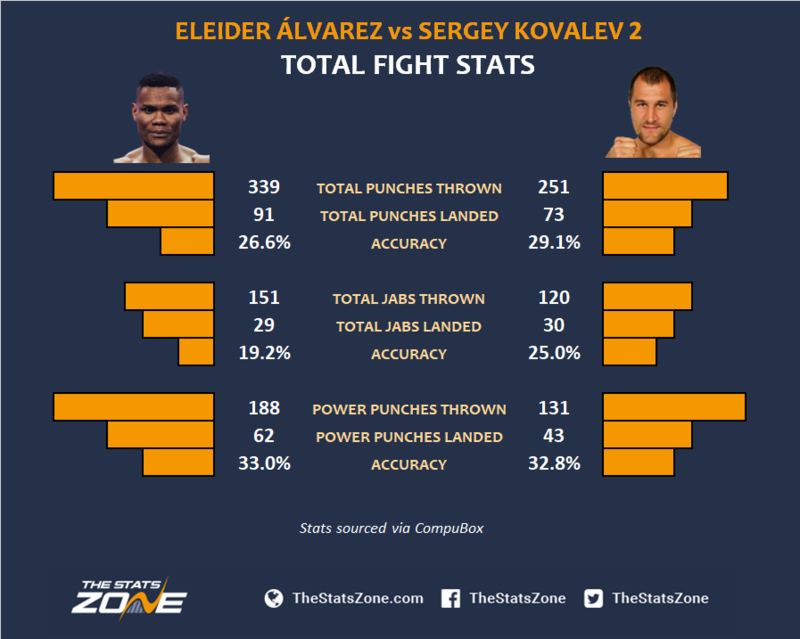 Eleider Álvarez and Sergey Kovalev meet for a second time in five months after Álvarez shocked the WBO light heavyweight champion back on 4th August with a TKO in the seventh round. Kovalev has exercised his rematch clause and is desperate to make up for the shock loss and will get his chance of redemption in Texas. Before the first knockdown, Kovalev was up on the scorecards 59-55, 59-55, 58-56 and was cruising until Álvarez uncorked a straight right that took the legs away from the Russian. Clearly dazed, Kovalev got back to his feet but Álvarez smelt blood knowing the fight was getting away from him and unleashed a well-timed left hook to fold Kovalev once again. The referee gave him another chance but Álvarez finished the fight off with a brilliant right hook left uppercut combination. This was the biggest and toughest fight of Álvarez’ career and with the fight slipping out of his hands, he pulled out a finish, claimed the WBO light heavyweight title and kept his unbeaten record intact. However, a similar outcome is unlikely. Álvarez is not known for his power and relies more on his hand speed and technique to wear his opponents down. Kovalev on the other hand has the technique and the power so is always a knockout threat. In this rematch, surely Kovalev has too much class and experience to be complacent again but he will now respect the power of Álvarez. 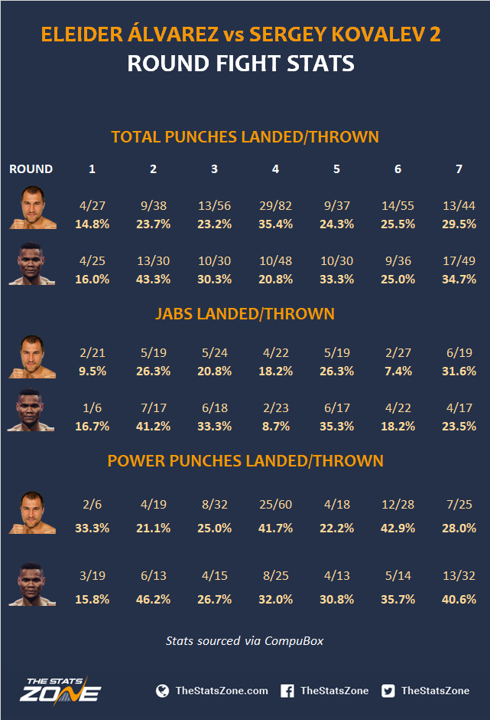 So, the same outcome may be unlikely and as you can see by the stats below, Álvarez is more likely to go to a decision whereas Kovalev finishes more fights early. 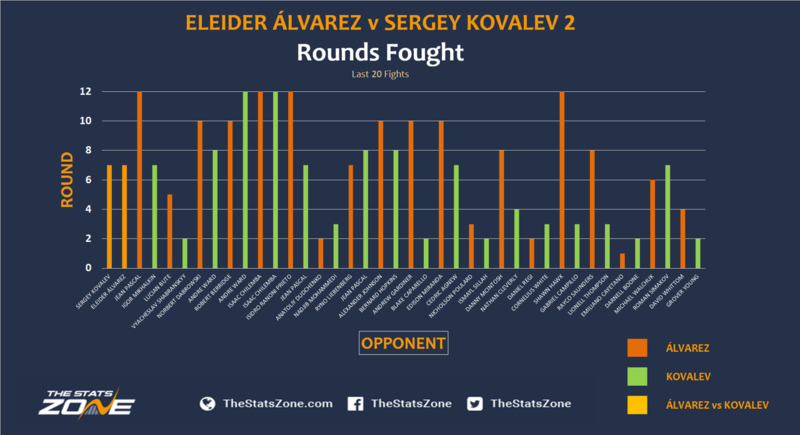 Despite Álvarez finishing Kovalev in the first fight, a knockout for the Russian is more likely according to the statistics. However, there is too much at stake for him to lose with eyes on a unification bout with Dmitry Bivol. This is likely to be a cagey affair with the Russian hesitant to open up, knowing that his career will take a massive backwards step with another loss. As for Álvarez, he will have the confidence of already stopping Kovalev but he felt what it was like to be out-classed for the majority of the fight and cannot rely on a knockout if the fight starts to slip away again. 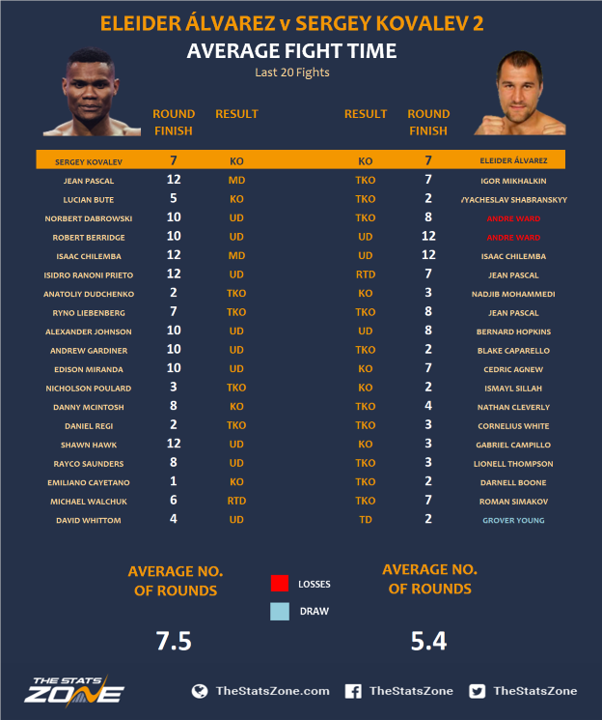 The loss will be a big wake-up call for Kovalev and we expect a lot of intensity and eagerness for revenge but it will be a more measured performance and likely to end in a decision.